Faculty Convocation 2018 celebrates the official opening of the new academic year at Loyola University Chicago. Led by President Jo Ann Rooney, JD, LLM, EdD and Interim Provost and Health Sciences Division Provost Margaret Faut Callahan, CRNA, PhD, FNAP, FAAN, the ceremony is an occasion to welcome new members, congratulate those who have been promoted or tenured, honor distinguished faculty, and look ahead to another year of academic excellence. The 12th Annual Faculty Convocation will take place on Sunday, September 16, at 3 p.m. in Mundelein Center Auditorium on the Lake Shore Campus. 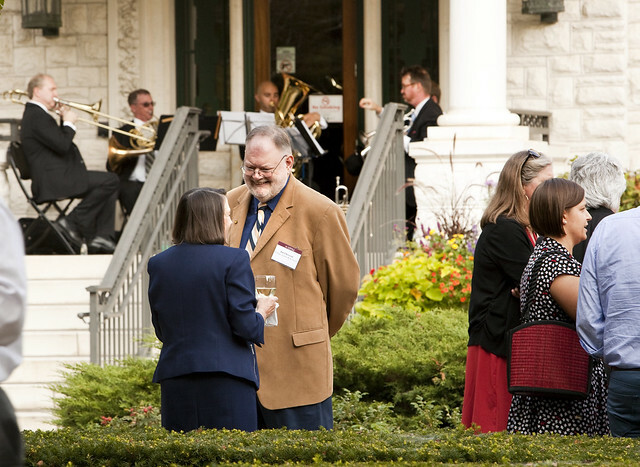 A reception and cocktails in the Piper Hall Rose Garden and Patios will follow.